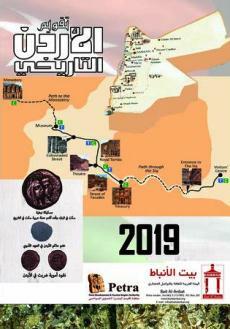 A 14-page Jordanian historical calendar issued for the year 2019 containing 170 archaeological sites with maps made especially for this purpose. It serves to advertise the ruins found in Jordan and some selected articles about the civilization of the Nabataeans abroad. 3000 copies were distributed for free, This issue supported by Petra development tourism Region Authority.